Why do you think people buy from one brand over another? If you can understand the underlying reasons that influence your customers’ choices, you can successfully grow your business. It can help you attract more customers, increase conversions, and build customer loyalty. So you need to understand your customers’ psychology in order to help your brand grow. And what better way to understand your customers than monitoring their social media engagements? With 2.62 billion social media users worldwide, social listening can be your secret weapon to understand your customers. Before we discuss social listening, let’s take a look at what customer psychology is all about. How customers feel about different products, services, and brands. How they select between different alternatives. How they research and shop for products. How their environment (social media, peers, or advertising campaigns) influences their purchase decisions. Personal interests: An individual’s age, gender, profession, culture, background, income, lifestyle, and more. Behaviors: An individual’s thoughts, actions, and feelings that vary due to external stimuli. Social factors: Recommendations from social peers, friends, and family members. Psychological factors: Their perception, beliefs, and attitudes. Many brands are keen to understand their customers’ psychology as it can help them influence their purchase decisions. They use various methods to collect valuable customer behavior data to understand their psychology. Some of the most popular tools that brands use to do so include customer reviews, survey forms, Q&A sites, and social media. Social media isn’t just a platform to broadcast your marketing messages. It can also provide you with some of the most insightful data about your customers. In order to learn more about your audience and customers, you need to sharpen your social listening capabilities. Many people confuse this with social media monitoring. But social listening goes far beyond monitoring and involves replying to people who are talking about your brand on social media. It is about extracting useful insights from social conversations to understand your customers in a better way. Here’s how you can use social listening to understand your customers’ psychology. The best way to understand your customers is to listen to their voices. You need to listen to them carefully and on a regular basis. With the rise in the popularity of social media, millions of people take to social media to voluntarily express their interests, opinions, experiences, and reviews. This means that there is a lot you can learn about your customers from social listening. But it will only help if you actively keep a watch on what they say about your brand, competitors, and industry. Analyze how they feel about a new product or offer. Do they like it or are they criticizing it? For instance, the following tweets showcase how users are having fun with Alexa. You also need to identify where your customers are discussing your brand or products. Rather than sticking to the social giants like Facebook and Twitter, look for valuable insights from other online sources too. These may include Q&A sites, the less-popular social media platforms, and niche forums in your industry. Social listening goes far beyond monitoring your own social media profiles and brand mentions. Many customers might discuss your brand in untagged brand mentions. While these mentions can often go ignored by brands, they are equally important. So you need to look beyond your brand to identify spots where your customers are talking about you. Tech brands like Apple get discussed on their customers’ personal profiles, groups, and other social sources. Only a sliver of conversation about their iPhones and other devices takes place on their official social media accounts. Other than finding untagged brand mentions, you need to analyze your customers’ non-branded conversations too. Clothing brand ASOS researched what their customers were talking about. They uncovered compelling data by listening to their customers’ non-branded conversations. They focused on social conversations of Twitter users who like their brand. Then they compared various demographic metrics to see their customers’ key interests. Their fans in the US and the UK had very different interests. ASOS’ customers in the US frequently talk about celebrities while their UK audience talks more about blogging, makeup, and competitions. A majority of ASOS’s customers in the UK included students. They frequently talk about preferring online shopping, which provides a strong reason for the brand’s popularity. The brand also found that these students were active on social media late into the night, which again proved helpful in planning their marketing strategy. ASOS looked beyond their brand and focused on the non-branded topics that their customers talked about. It helped them understand who loves their brand and what they love about them. Extracting useful insights about your customers on social media doesn’t demand that you become a data scientist. You can uncover valuable insights about your customers and prospects using a variety of tools. These tools can help you track everything in one place and make it easier for you to analyze your customers’ psychology. Google Surveys: You can use Google Surveys to understand the mindsets of your customers and target audience. You can easily create custom surveys to find out what your audience thinks about your new products, offer, or a campaign you plan to launch. You can also analyze the survey results by demographic factors such as age, gender, geography, income, and more. This means that you can get access to answers directly from your target audience and gain the insights you need. 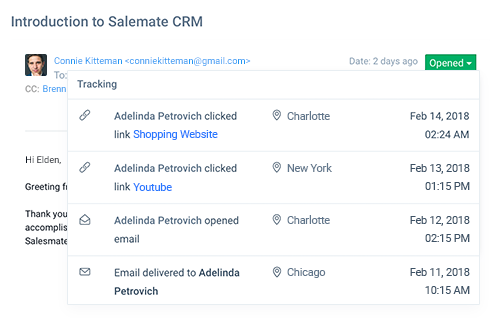 Salesmate: As a powerful sales CRM, Salesmate provides all of the right insights about your customers. It helps you understand what your customers are looking for, where they are in the sales cycle, and what they don’t like. You’ll get an in-depth analysis of your customer’s psyche, which in turn helps you address their needs, deliver a more personalized experience, and increase sales. You can track your customers’ entire buying journey and sell faster with this CRM platform. Brand24: Brand24 helps you get instant access to online mentions about your brand. You can track when your customers or prospects talk about your industry, business, products, brand, or competitors. 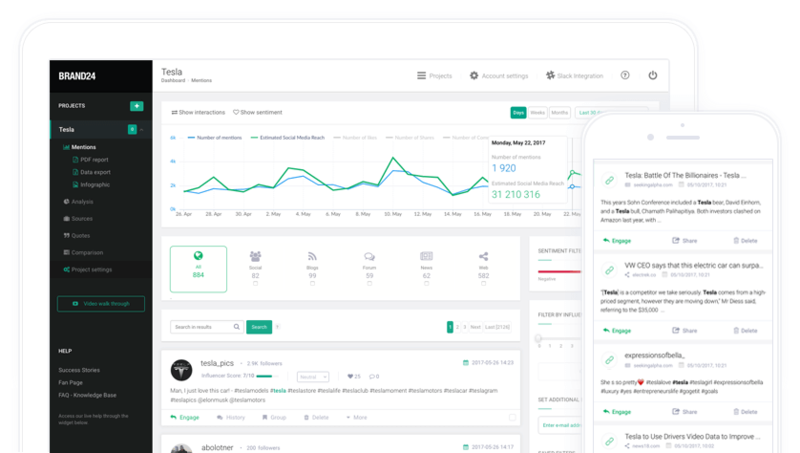 Social Mention: This is a free tool that allows you to see all your social media mentions in one place. Social Mention helps you get insights from more than 100 social networks, which makes it one of my favorite tools for social listening. You can get an in-depth analysis of what your customers are saying about your brand. This involves tracking hashtags, top keywords, and sites. More brands use social data to understand their customers’ psychology and behavior. You should consider using social listening too. Social media opens up an amazing opportunity to understand your customers’ needs, wants, and interests. This, in turn, can help you improve your marketing strategies, deliver personalized experiences, build customer loyalty, and grow your business.